Marijuana, Is It a Depressant or a Stimulant? Cultivated from the Cannabis sativa plant, marijuana is a brown, green, or gray mixture of dried stems, shredded leaves, and flower buds. 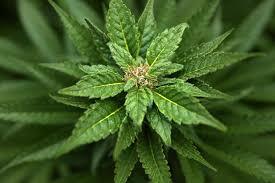 The plants’ primary psychoactive ingredient is the chemical delta-9-tetrahydrocannabinol (THC). It’s usually ingested, rolled up like a cigarette, or put into a pipe and smoked. Occasionally, people inhale it using a vaporizer or mix it with food. Although there are some who use it for treating medical conditions, young people typically use it as a recreational drug. They are drugs that affect mood, increase feelings of well-being, energy level and alertness, such as tobacco, coffee, and amphetamine. Marijuana produces euphoria and is powerfully rewarding. Used for its mood enhancing effects, it causes feelings of elation, and boosts confidence and self-esteem. People who use marijuana often find that they become talkative, lively, and ecstatic. Drugs used medicinally to relieve anxiety, irritability, and tension (examples: alcohol, opioids, and barbiturates). For many users, marijuana produces a state of intoxication that has the effect of a mild sedative, and causes a state of relaxation and feelings of drowsiness. Others find that they become silent and withdrawn after taking the drug. These drugs cause hallucinations and profound distortions in a person’s perception of reality, such as LSD, nitrous oxide, and psilocybin. Under the influence of marijuana, some people hear sounds, see images, and feel sensations that seem real but do not exist. Marijuanamay also produce rapid and intense emotional swings, and the reality around users may become distorted, creating a heightened state of awareness and sensitivity to colors and sounds. If you have been a long-time user, you may have physical withdrawal symptoms, such as sleeplessness, cravings, irritability, or loss of appetite when you stop. Time distortion: When perceptual time functions are disturbed by using marijuana, alterations in feelings of reality will ensue, and perception of time will be distorted as well. Random thinking: A failure in the ability to think straight may come and go rapidly. The user may not be able to concentrate on one thought for long and may be easily distracted, or unable to focus attention. Paranoia: A mental condition that is characterized by delusions of unwarranted jealousy, persecution, or exaggerated self-importance. Anxiety: A nervous disorder that is characterized by a state of apprehension, excessive uneasiness, compulsive behavior, or panic attacks. Depression: A mental state of altered mood characterized by feelings of despair, sadness, and discouragement. Memory loss: Whether it's occasional forgetfulness or loss of short term memory that interferes with your daily life, marijuana may cause temporary memory loss. Lung damage: Marijuana smoke contains 50% - 70% more cancer-causing substances than tobacco smoke. Bronchitis: Chronic smokers often suffer from bronchitis, an inflammation of the respiratory tract. 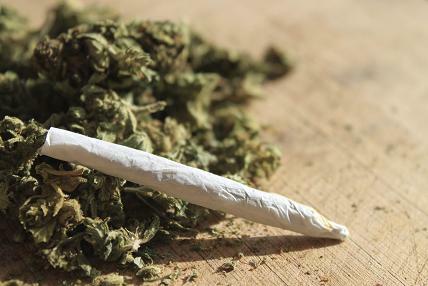 Psychosis: A number of studies have shown a connection between continued marijuana use and psychosis. Temporary sterility in men: Marijuana changes the structure of sperm cells, deforming them. Menstrual cycle disruption: Marijuana use can upset a woman’s menstrual cycle. Diminished mental capacity: Marijuana diminishes the mental capacity of users, and disrupts nerve cells in the brain, affecting memory. Hereditary defects: Marijuana is one of the few drugs which cause abnormal cell division, leading to premature births and birth defects. Leukemia: Studies also suggest that prenatal use of the drug may result in an increased risk of leukemia in children. Is It Bad to Smoke Weed While Having a Cold? What Happens When You Smoke Too Much Weed? Passing Out from Weed, Is It Possible? Is It Bad to Smoke Marijuana Every Single Day? Does Marijuana for Migraines Work?